Hey everyone, I hope you had a great weekend. I just wanted to write to tell you about a chat session that I am having with BeatTheGMAT.com (BTG) this Thursday. On Thursday at 11am CST, BTG will host a chat session with me, where I’ll discuss what it takes to get into Kellogg, the JD-MBA program and the law school. This will be part of an ongoing series of chats, where I’ll not only provide tips for applying but also share my experiences at Kellogg and the JD-MBA program. If you’re interested in learning more about Northwestern or business school generally, I hope to join the call this Thursday. Likewise, you should also feel free to pass the information along to any others that might find the webinar useful. Friends that are considering business school, JD-MBA programs, or Kellogg. And if they are interested but can’t make this one, no big deal. This will be part of an ongoing series of chats that I’ll be taking part in every two weeks, which will happen over the course of the next few months. Below in a blurb about the event. You can also CLICK HERE to see the website. 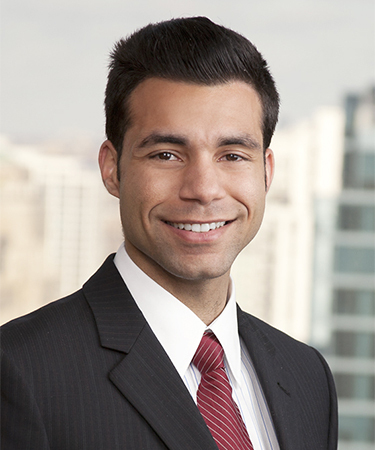 Jeremy is a current JD/MBA student at Kellogg and he’s happy to share more about his experience with you! 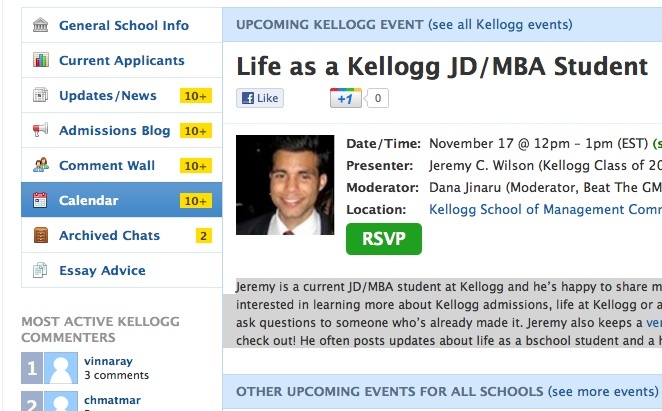 If you’re interested in learning more about Kellogg admissions, life at Kellogg or about the JD/MBA degree, then this is your chance to ask questions to someone who’s already made it. 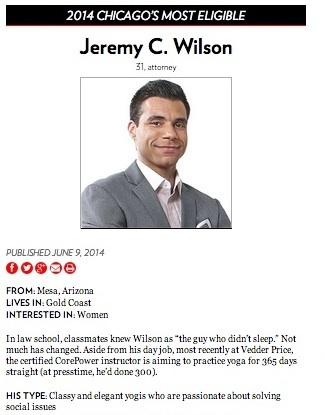 Jeremy also keeps a very popular blog, which we highly encourage you to check out! He often posts updates about life as a b-school student and a host of other very interesting topics.